On May 25, 2012, we had a riveting interview with prizewinning author and organizational leadership coach, Peter Bregman, MBA. Peter is the author, most recently, of 18 Minutes: Find Your Focus, Master Distraction, and Get the Right Things Done, winner of the Gold Medal from the Axiom Business Book awards, named the best business book of the year on NPR, and selected by Publisher’s Weekly and the New York Post as a top 10 business book of the year. Featured on PBS, ABC and CNN, Peter is a regular contributor to Harvard Business Review, Fast Company, Forbes, National Public Radio (NPR), Psychology Today, and CNN. In fact, 18 MINUTES was written following one of the most popular and commented upon blog posts Peter wrote for the Harvard Business Review. The post, titled “An 18 Minute Plan for Managing Your Day,” began with his humbling admission that, though he’d started his day with the best of intentions (and a vague sense of what he wanted to accomplish), he was ambushed and exhausted by distractions thrown at him; fires to be fought, other people’s problems and whatever came along. He knew better, and has laid out strategies that work in determining priorities, monitoring what happens during the day, and managing distractions which threaten to interfere. Peter obtained his BA from Princeton and his MBA from Columbia University. He began his career teaching leadership on wilderness and mountaineering expeditions. 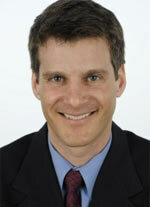 He then moved into the consulting field with the Hay Group and Accenture, before starting Bregman Partners in 1998. Peter has advised CEO and senior leaders in many of the world’s premier organizations, including Allianz, American Express, Brunswick Group, Goldman Sachs, Morgan Stanley, Deutsche Bank, JPMorgan Chase, FEI, GE Capital, Merck, Clear Channel, Nike, UNICEF, and many others. Peter bases his work on the notion that an organization, at its core, is a platform for talent. By unleashing that talent, focusing it on business results, and aligning it with a compelling vision, both the individual and the organization thrive. Since 1989, Peter has trained and coached all levels of management and individuals to recognize their leadership, exhibit leadership behaviors, model and stimulate change, and foster their own development and growth as well as that of their teams and colleagues. Peter is also the author of Point B: A Short Guide to Leading a Big Change and co-author of five other books. Watch a Washington Speakers Bureau interview where Peter outlines what goes into 18 minutes. Take Peter’s Quiz: How Well Do You Master Distraction?